You'll never believe it, but I had an email from Scholastic Books this morning. 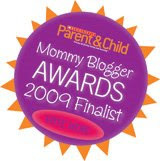 Editors there selected Like Merchant Ships as one of 10 top Mommy Bloggers from over 500 sites. Would you do me a big favor and click through to vote? If you're visiting from the contest page, WELCOME! Here's a little more about me and what you'll find at Like Merchant Ships. i would vote for you a hundred times over. i've read some of the other blogs, and yours would be tops on my list every time. you are to the point, with a picture (love that! ), concise and always valuable. i always come away from your site energized to be the best steward of all my blessings. keep up the great work, regardless of the scholastic outcome! I vote for your blog because I know the most about your blog. I did check out the other blogs and I book marked a couple to go back to and check out some more. To me your blog is far and away the best I have seen. Oh, there are good ones out there, but yours is so very comfortable. Thanks. Anyway, I've voted for you. I love your blog and I'm so glad you are continuing for now! I voted for you! Thank you for brightening my week with your lovely posts! Congratulations!! Well deserved, to be sure. I voted. I've heard people rave about Pioneer Woman, and I've checked it out but it has never really caught my interest. Like Merchant Ships, which I learned about from Renee, a few comments up, sucked me right in. I went into your archives and read every single post. This is far and away my favorite blog. Happy to vote for you! You are real. That about does it! Meredith! This is great! I voted for you! Congratulations!! I have been following your blog for a while and have since really adopted your passion for frugality and thrift! Your blog posts have greatly impacted my journey of stewardship...so thank you! I voted for you! I voted for you too. And from the votes I've seen so far, it doesn't look like you need to worry about PW! You got my vote, Meredith, congratulations! You totally belong on that list. Thank you for being an inspiration in the blogosphere. I voted for you. :D I really enjoy reading your blog. you are my favvvvvvvvorite blog! Congrats! I just cast my ballot in your direction-you deserve it! Hey Meredith, I voted for you! Your blog is wonderful -- you present an attainable example, and I mean that in a good way! Mothers today need a view into reality that uplifts -- neither too glossy nor unaware of the ultimate purpose for our existence. Your "mommy" posts are some of my favorites - I think because our little ones are so close in age. But also because you've very creative and very real! I was tickled to get to vote - thanks for letting us know. I hope there's a great big prize! Well, I LOVE your blog and I LOVE the Pioneer Woman blog. ...but Pioneer Woman has never saved me money so YOU WIN!! Hope you win! You deserve it! Congratulations on your nomination! One of the best things about being nominated myself is finding new (and awesome) blogs like yours. I feel truly honored to be the company of such greatness. You do such good work over here; I'll definitely be back! Jana AKA "The Meanest Mom"/one of the moms who "Jodi" (first commenter) loathes! I voted for you. I read your blog every day. I like it because you are an everyday person taking what you have available at hand and making your life more beautiful with it. I love it, love it, love it! I'll happily vote for LMS! Yours is one of the few blogs I've continued to read regularly since I first started reading blogs in 2006. I sense there are many aspects of our lives that are very different, but I think you provide a great blog, great information, and a great service to a variety of readers! Congratulations! I do love PW (especially her recipes) but you got my vote. Your blog is inspiring and yet comfortable at the same time. And I mean that in a very good way. Put my vote in- can think of no one better who would deserve such an honor!! Congratulations! And you have my vote!
" I just really enjoy visiting Meredith . I really do enjoy visiting your blog. Yes, but I'm up against Pioneer Woman AND you!! :) I'm betting I'll come in last, but I'm still honored to be in such great company. Congratulations, Meredith. You absolutely deserve to be a finalist, and I've long enjoyed your blog. Did you ever dream when you first started blogging that these kinds of neat experiences would happen to you??! I voted for you, and looks like you're winning at this point. Congratulations, Meredith! Ooooh! I voted for you! I'm so excited for your nomination. You really deserve to win. Your blog is both class and comfort. What's the prize? I voted for you....and you're currently in the lead! Yippee! :) You are one of the 3 bloggers I read EVERY day! Congrats on this! I just voted - you are still winning!!!!! Oh, I voted a long time ago! For you, of course! Hey, looks like you are ahead! woo hoo! I'll be sure to tweet about it, just in case it helps a little. First I'd like to say CONGRATS, Meredith - You deserve this and many more accolades to come! I saw the link somewhere else a few days ago, and I definitely voted for you! Good luck!! !